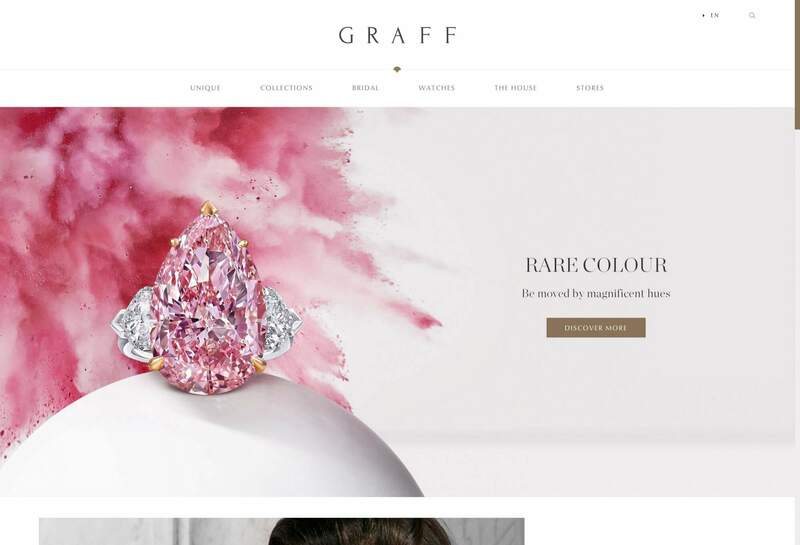 Graff are synonymous with creating the world’s most incredible and rare pieces of jewellery. 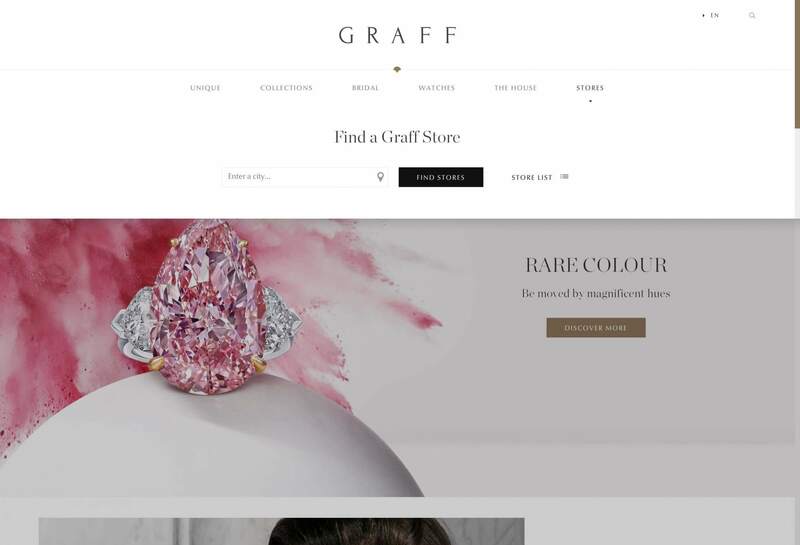 Custodians of many of the world’s most celebrated gemstones (it is said that more significant stones have passed through Graff’s hands than any other diamantaire), their pieces are characterised by unparalleled quality, exquisite design and often historical provenance. 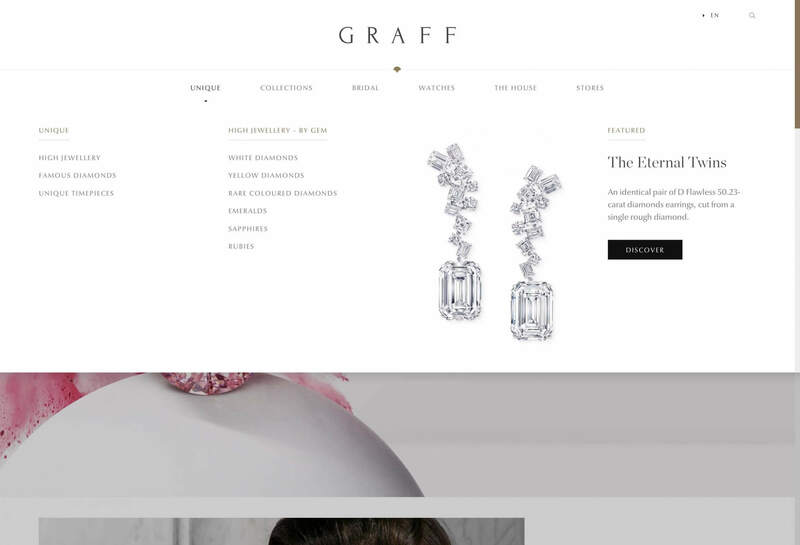 We have been working with Graff since 2011, designing and producing both the new global site launched at the end of 2017, as well as their previous site and numerous other projects including the Delaire Graff Estate and FACET Foundation. 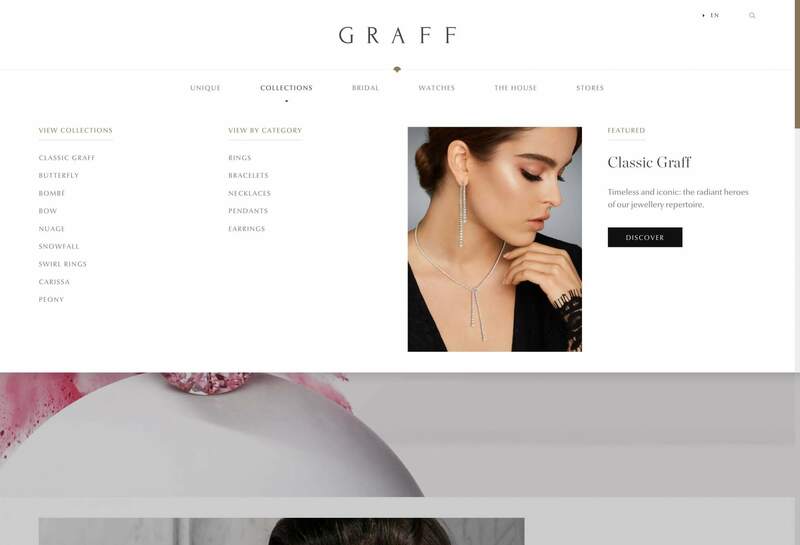 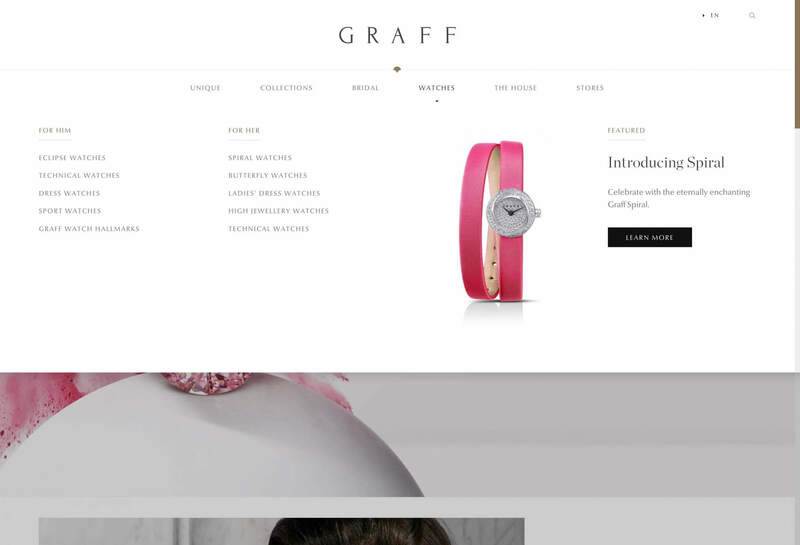 The new Graff site is hugely extensive, presented in five languages including Chinese, Japanese and Korean, and localised for specific markets, it showcases not just their unique jewels, jewellery collections, bridal and watches, but also provides a wealth of supporting information about the brand, their story, stores and history.